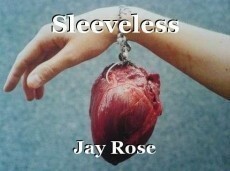 Inspired by the phrase "to carry one's heart on one's sleeve"
© Copyright 2019 Jay Rose. All rights reserved. Beautifully put. Sometimes it is so much easier to write than to speak. Thank you! Writing is my safe haven from the world; I'm glad I was able to get that across. This page was created in 0.4060 seconds.